Much like the Industrial Revolution, the world is undergoing another economic revolution right now from a national analog industrial economy to a global digital information economy. This digital revolution of the 21st Century requires us to not just rethink higher education, not just reform it, but as this session will outline, to revolutionize what we learn, when and where we learn, and how we learn. 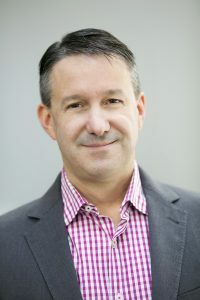 Jeffrey J. Selingo is a best-selling author and award-winning columnist who helps higher-education leaders imagine the college and university of the future and how to succeed in a fast-changing economy. Jeff is a special advisor and professor of practice at Arizona State University and a visiting scholar at Georgia Tech’s Center for 21st Century Universities. He is the former top editor of the Chronicle of Higher Education, where he worked for 16 years in a variety of reporting and editing roles. Jeff is also the author of College (Un)Bound: The Future of Higher Education and What It Means for Students, a New York Times bestselling education book in 2013, and MOOC U: Who Is Getting the Most Out of Online Education and Why. 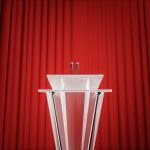 His latest book, There Is Life After College (HarperCollins), explores how today’s young adults need to navigate school for the job market of tomorrow. Jeff received a bachelor’s degree in journalism from Ithaca College and a master’s degree in government from the Johns Hopkins University. He lives with his wife and two daughters in Chevy Chase, Maryland. The General Session is an opportunity to celebrate our organization and volunteers. Join us as we recognize our Award Winners: the 2018 Penny Crane Award winner, new Hall of Fame inductees, and SIGUCCS Communication Award recipients. 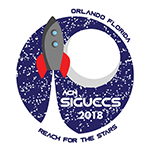 The SIGUCCS executive committee will also discuss accomplishments and plans for the upcoming year, including the location of SIGUCCS 2019! 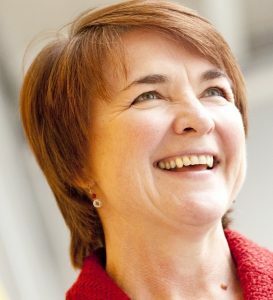 Geraldine Fitzpatrick is Professor of Technology Design and Assessment and heads the Human Computer Interaction Group at TU Wien in Vienna, Austria. Previously, she was Director of the Interact Lab at Uni. of Sussex, User Experience consultant at Sapient London, Senior Researcher at the Distributed Systems Technology CRC in Australia, and a nurse/midwife prior to her IT degree. Her research is at the intersection of social and computer sciences, with a particular interest in technologies supporting collaboration, health and well-being, social and emotional skills learning, and community building. She has a published book and over 180 refereed journal and conference publications in diverse areas such as HCI, CSCW, health informatics, pervasive computing. She sits on various advisory boards, serves in various editorial roles, and is program committee/chair in various CSCW/CHI/health related international conferences. She is also an ACM Distinguished Scientist and ACM Distinguished Speaker.